Current affairs magazines for UPSC download pratiyogita Darpan , Frontline , India year Book, civil services times , pc world etc..
Indian initiative in gravitational wave observatory consortium recently announced the project to construct Optical gravitational wave detector in the first stage to build a prototype of the detector which is 3m long and building of prototype led by Unnikrishnan and Rajalakshmi of Tata Institute of Fundamental Research who had funded Rs. 2 crore for this project. Gravitational waves are actually faint ripples in fabrication of space and time and are emitted by binary stars, black holes and neutron stars etc.. In 1916, Einstein predicted that, when two stars circle around each other as a result of mutual gravitational attraction the stars swing around each other pulled by enormous forces would emit gravitational wave. Later Russell Hussle and Joseph Taylor had proved the presence of gravitational wave through their experiment and won noble prize for the same in 1993. Gravitational waves makes changes in the length of the objects in their path but only by a small part (like one part in 10 to the power 21) which is extremely small. Gravitational waves are difficult to detect because of their weakness and their frequencies are extremely low, below 1 Hertz therefore it is vulnerable to seismic noise. 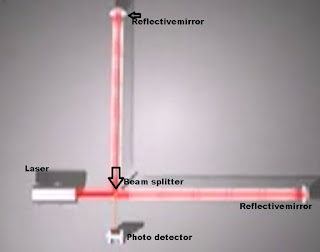 Optical gravitational wave detector proposed by IndIGO will be having a ' L ' shaped detector having two 4 km long arms with reflecting mirrors suspended in high vacuum without any disturbances at the both the end of the arms. 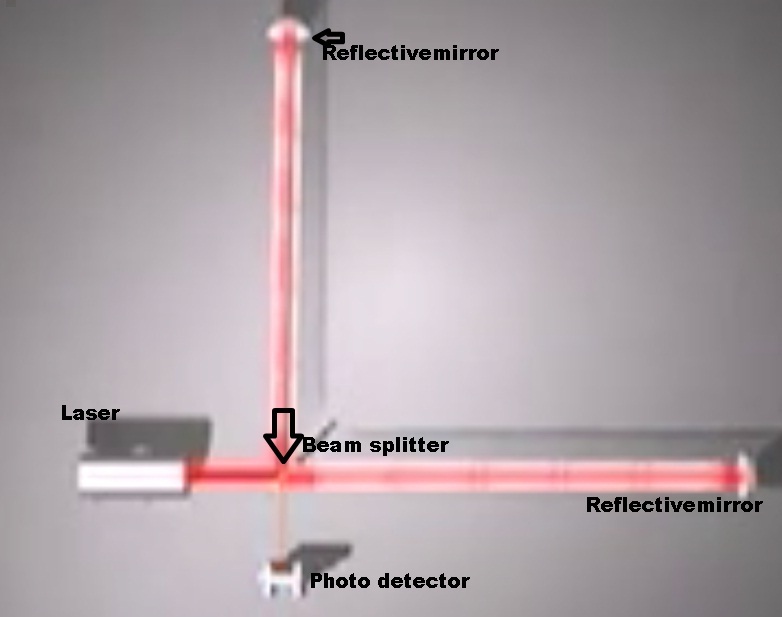 A laser beam is directed towards a beam splitter which splits the beam into two arms then the beam passes through the vacuumated arms and gets reflected by mirror then return towards the beam splitter if the there is influence of gravitational wave then the returned wave will be detected by the photo detector and the intensity will be measured will be the measurement of gravitational wave. It is an astronomical tool For better understanding of cosmos. Enable us to observe cosmic and astrophysical phenomena occuring in universe and also provide a direct proof for existence of black holes. To know the Limits of deformation of spinning neutron stars. Useful in the Observation of universe in first few milliseconds.